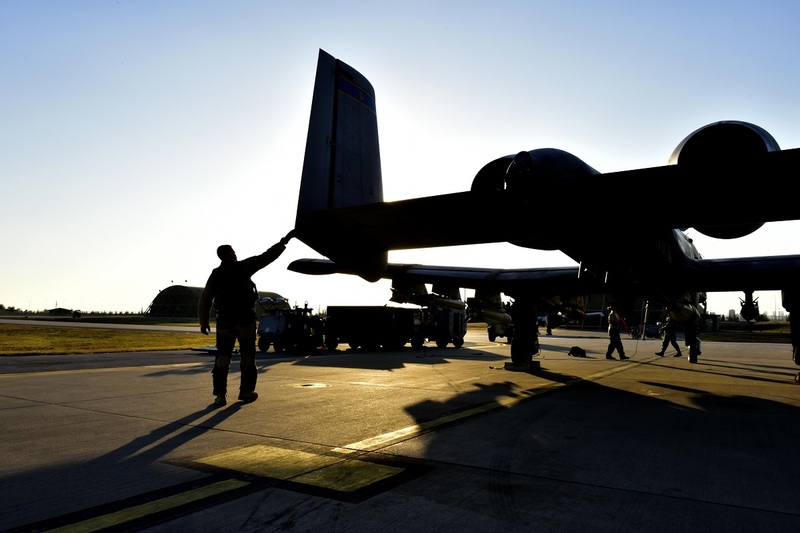 Lt. Col. Ben Rudolphi, the 407th Expeditionary Operation Support Squadron commander, prepares to taxi to the flightline in an A-10 Thunderbolt II on Jul. 11, 2017, at Incirlik Air Base, Turkey. The following article, titled Cleared Hot: Red Tails A-10 pilot spits fire in fight against ISIS, and written by Senior Airman Ramon A. Adelan, 407th Air Expeditionary Group Public Affairs, tells the story of Lt. Col. Ben Rudolphi, the 407th Expeditionary Operation Support Squadron (EOSS) commander, who has provided a dual role in Operation Inherent Resolve as the commander of the 407th EOSS in Southwest Asia and being directly in the fight against the Islamic State of Iraq and Syria conducting A-10 flying missions with the 447th Air Expeditionary Group. The darkness of a desert night surrounds his aircraft. The wind rushes past his cockpit. As the target approaches, nervousness builds deep within his core and his heart races at extraordinary speeds. Locking in on the tasks at hand, the pilot’s eyes glow as he focuses through night vision goggles to locate targets below. Muscle memory from years of training takes over with subconscious adjustments on the controls. Then with the target in his sights, he deploys the carefully selected weapon system onto an enemy position. Lt. Col. Ben Rudolphi, the 407th Expeditionary Operation Support Squadron commander, conducts a preflight check on an A-10 Thunderbolt II on Jul. 11, 2017, at Incirlik Air Base, Turkey. The A-10 supports ground forces with rapid employment close air and contact support. It utilizes a variety of bombs, missiles and a 30mm GAU-8 seven-barrel Gatling gun. This is how Lt. Col. Ben Rudolphi, the 407th Expeditionary Operation Support Squadron commander, describes flying combat missions in the A-10 Thunderbolt II. Even as an experienced A-10 pilot, Rudolphi still feels his nerves standing on edge each time he goes out on a mission. 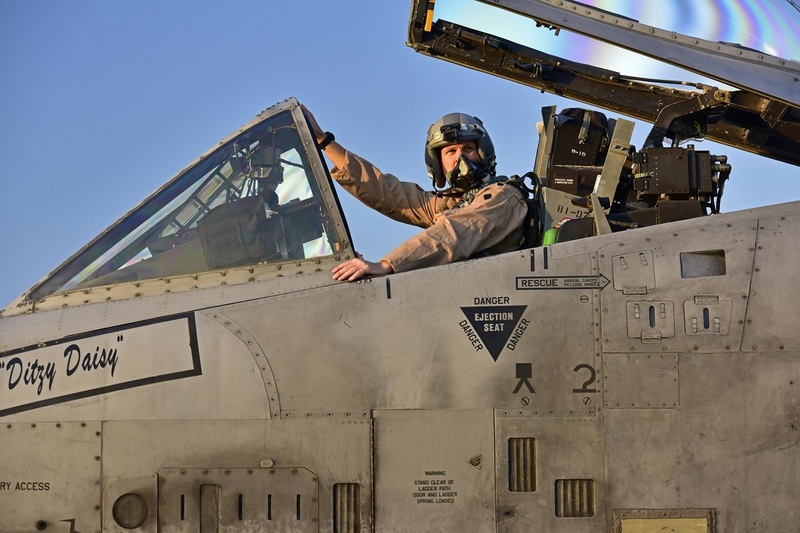 Originally tasked to deploy as an A-10 pilot in support of Operation Inherent Resolve, Rudolphi saw his mission change before even leaving the U.S. Instead of manning his aircraft, he was given the opportunity to lead others as the commander of the 407th Expeditionary Operation Support Squadron and accepted the position. 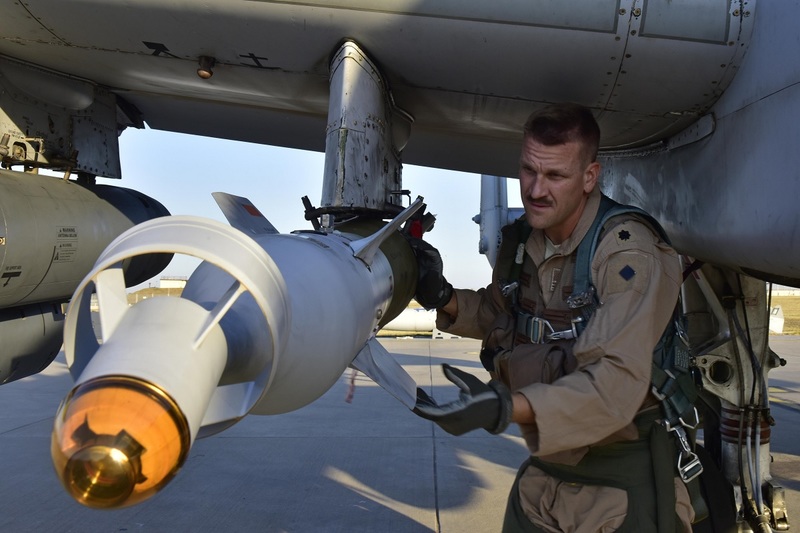 At the 407th Air Expeditionary Group, Rudolphi leads his unit in the essential buildup of a strategic operating location for the Air Force, joint and coalition forces operations. As the 407th EOSS commander, he plans and evaluates the installation for expansion, future and short notice operations, while enabling the mission to continue around the clock. Meaning such things like airfield operations, dining facilities and other supporting functions are prepared for these types of circumstances. Though his focus lies with the mission and Airmen under his command, the assignment has not kept Rudolphi from the battlefield. 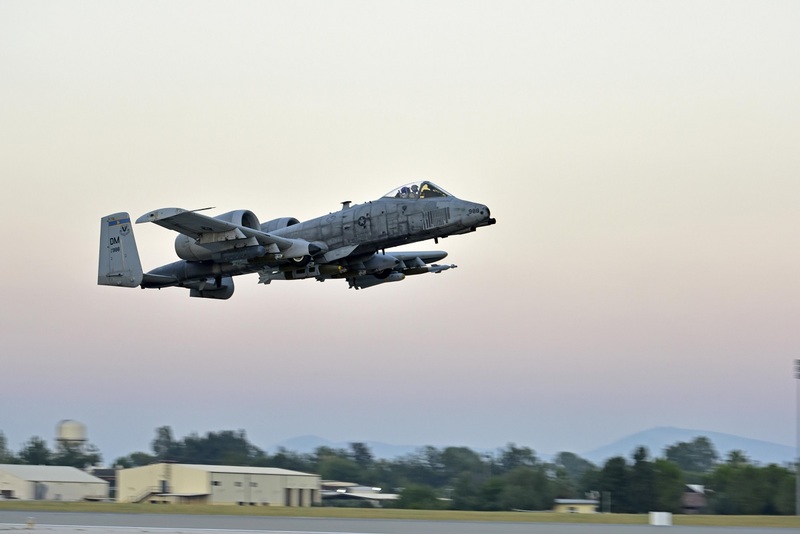 When given the opportunity, he quickly transitions to take the familiar aircraft controls and has flown A-10 combat missions with the 447th AEG in the fight against the Islamic State of Iraq and Syria. Lt. Col. Ben Rudolphi, the 407th Expeditionary Operation Support Squadron commander, conducts a preflight munitions check on an A-10 Thunderbolt II on Jul. 11, 2017, at Incirlik Air Base, Turkey. The A-10 supports ground forces with rapid employment close air and contact support. It utilizes a variety of bombs, missiles and a 30 mm GAU-8 seven-barrel Gatling gun. Rudolphi continued, imagine that but now as if your voice is your weapon. Driving by you can cheer, but it’ll be this jumbled not understood noise. But the walker can slow down, redirect toward the action and cheer. This time you would be heard. People can understand you. Lt. Col. Ben Rudolphi, the 407th Expeditionary Operation Support Squadron commander, takes off in an A-10 Thunderbolt II on Jul. 11, 2017, at Incirlik Air Base, Turkey.